The unique rose wine from the Alentejo region. 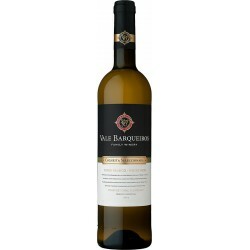 It’s a fabulous wine for pairing with the Portuguese petiscos (Tapas or Traditional Snacks). With one gorgeous salmon color with slight pink gleams. Fantastic aroma of lychee, fresh aromatic herbs and a scent of pink pepper. In the mouth is well-balanced and excellent freshness, with a fruity persistence. Palate: In the mouth is well-balanced and excellent freshness, with a fruity persistence. Rose wine from the Alentejo region Select Harvest. The Alentejo region it’s more than red and white wines. 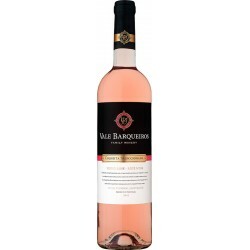 Also produce fantastic rose wines to be paring with the rich Portuguese gastronomy. Enjoy it with some small portions of traditional Portuguese food (petiscos). A portion of Iberian ham, some traditional cheeses, olives (green or black), some traditional chorizo, garlic prawns or grilled, clams Bolhão Pato style, etc. This is an Iberian grape variety par excellence, one of the few to be grown and esteemed in both of the Peninsula's countries. Its Spanish descent is unequivocal, with more than one of the nation's provinces laying claim to paternity. It is called Tempranillo in Rioja - the region most likely to be its birthplace, but Cencibel in La Mancha, Ull de Llebre in Catalonia, Tinta de Toro in Toro, Tinta del Pais and Tinto Fino in Ribera del Duero and Tinta de Madrid in vineyards around the Spanish capital. In Portugal, Aragonez goes by other equally well-known names: Tinta Roriz in Dão and Douro and Abundante in Lisbon. Few grape varieties can have so eloquent and straightforward a designation as Aragonez. In Rioja, it earned the nickname Tempranillo from the Spanish temprana, meaning to ripen early, which of course it does, well before the autumn showers of September and avoiding the first rainfalls of the equinox. In Lisbon, it takes the name Abundante because of its high yields and vigorous growth. Aragonez has a short growth cycle, leafing late which protects it from spring frosts. A reliable producer not only in good years, but also in the worst when its yields will be lower, such as in hot and dry climates and in sandy or limestone soils. Such conditions produce lively yet deep wines with a happy combination of elegance and strength, almond fruit and spice. As Aragonez has a tendency to low acidity, it appreciates the company of other Alentejano varieties, being regularly blended with Trincadeira and Alicante Bouschet. 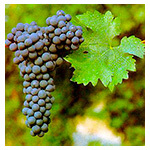 Cabernet Sauvignon is the most international of all French grape varieties, being widely grown across all five continents. It has found a special niche and style in the Alentejo, one of the few Portuguese winegrowing regions where it can ripen to perfection. Cabernet Sauvignon is one of those varieties that can be termed "enriching"; deeply coloured and thick-skinned, it can spice up blends, imbuing body and consistency to well-composed, perfumed, fruity and spicy wines. It is rarely bottled as a varietal wine in the Alentejo, but is present in small amounts to give structure in many regional Alentejo wines. Appreciated for its versatility, resistance and correctness it yields wines of immense longevity that age with elegance and security. Of all the non-Portuguese varieties to be grown here, Syrah has best adapted to the rigours of the Alentejo climate, adjusting easily to the searing summer heat with its interminable hours of sunshine and extreme temperatures. Grown in warm, poor Alentejo soil, Syrah wines come close to those from the New World. 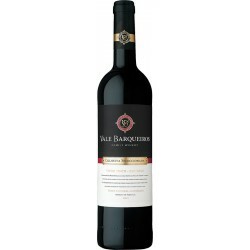 Big robust and full-bodied wines with lots of fruit, some pepper, usually spicy, sometimes powerful and alcoholic. Wines from early-ripening grapes are accessible when young, smooth and inviting with good cellaring potential. Varietal Syrah wines are made but they are few in number, usually being used in small amounts in many of the Alentejo's most emblematic wines. The estate consists of 122ha of vineyards, 330ha of olive trees, a forest area comprised of cork oak and stone pine and several dams to meet the irrigation requirements. The company decided at the beginning that they would use the most advanced technologies available in the field of viticulture and also for the olive groves. A drip feed irrigation system was installed to give both the vines and the olive trees the best possible care to maximize the quality of the crop. It also has partnerships with international experts who have contributed to the development of the “know how” of the estate itself and as a result the company has become a reference for the latest technologies. The 122 hectares of vineyards of the estate are planted in bilateral cordon system, with the predominance of Portuguese grape varieties, particularly Aragonez and Trincadeira, the two most important of the Alentejo region, as well as Touriga Nacional, Arinto, Antão Vaz and Trincadeira complemented by the internationally renowned Alicante Bouschet, Cabernet Sauvignon and Syrah.